It all started with removing the wallpaper. Sean had never been a huge fan of the temporary wallpaper I put up in the living room last year. He liked the brick pattern but felt it was a bit rustic for our more classic living room. And so I found myself removing the wallpaper a few weekends ago and discovering it wasn't so temporary. 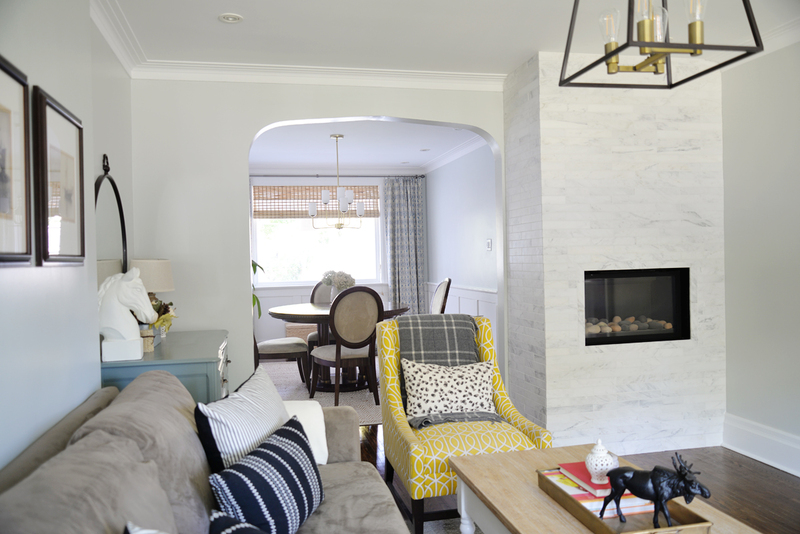 Small patches of the paint underneath came off with the wallpaper and very quickly, this easy project snowballed into a much larger (but welcome) whole room refresh. We've had the light beige grey colour on the walls for over five years and it was time for a change. 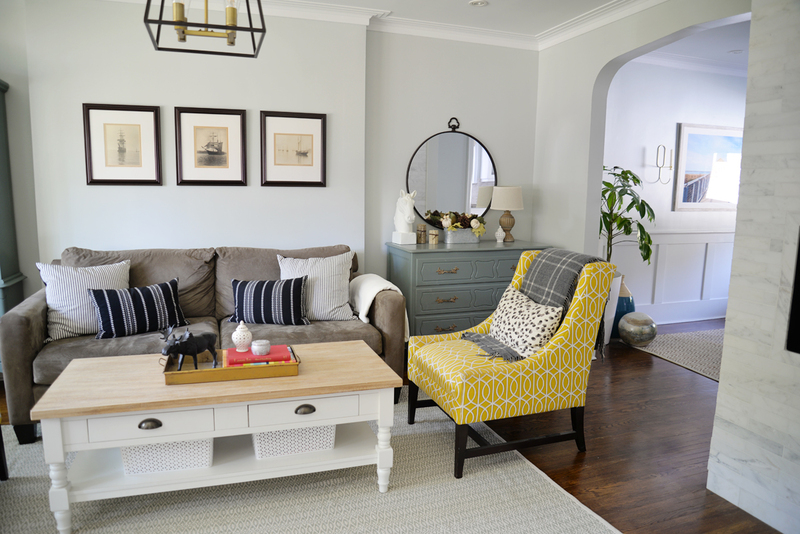 I loved the soft blue-green colour in our dining room (Lunenberg by PARA Paints) and carrying the same colour into the living room would make our small house flow better. 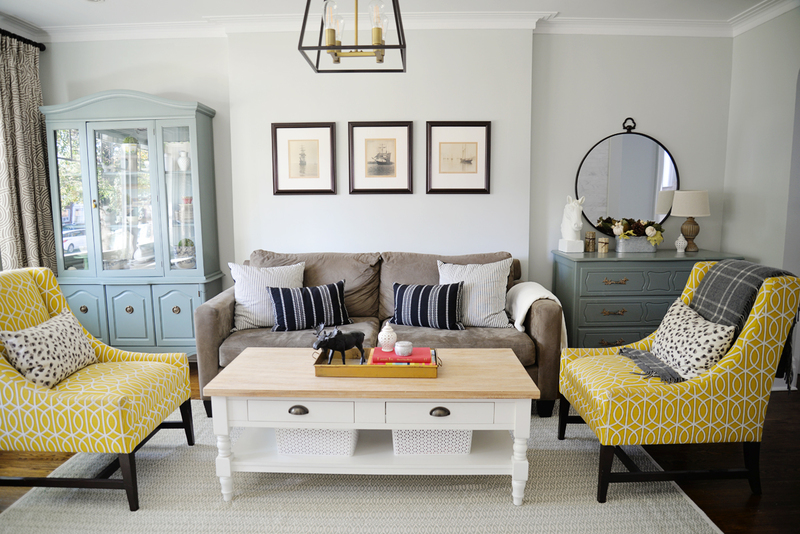 The blue tone also picks up on the teal of our hutch and dresser. We've never hung a chandelier in this room, though we had the outlet put in the ceiling when we renovated years ago. Time to change that! 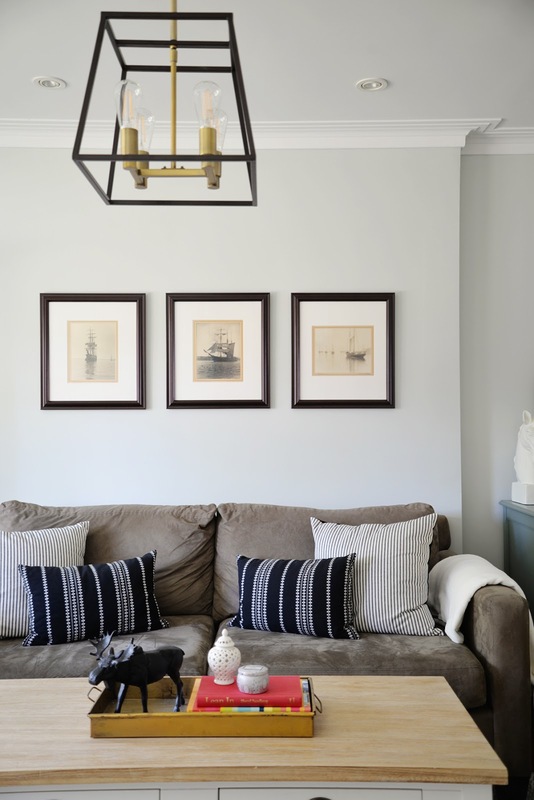 This striking two-tone brass and bronze light fixture is something I've had my eye on for a while. I considered the longer version for over the cottage dining table but the dimensions didn't work. But when I spotted this smaller pendant in store recently, I thought it would work in our living room. 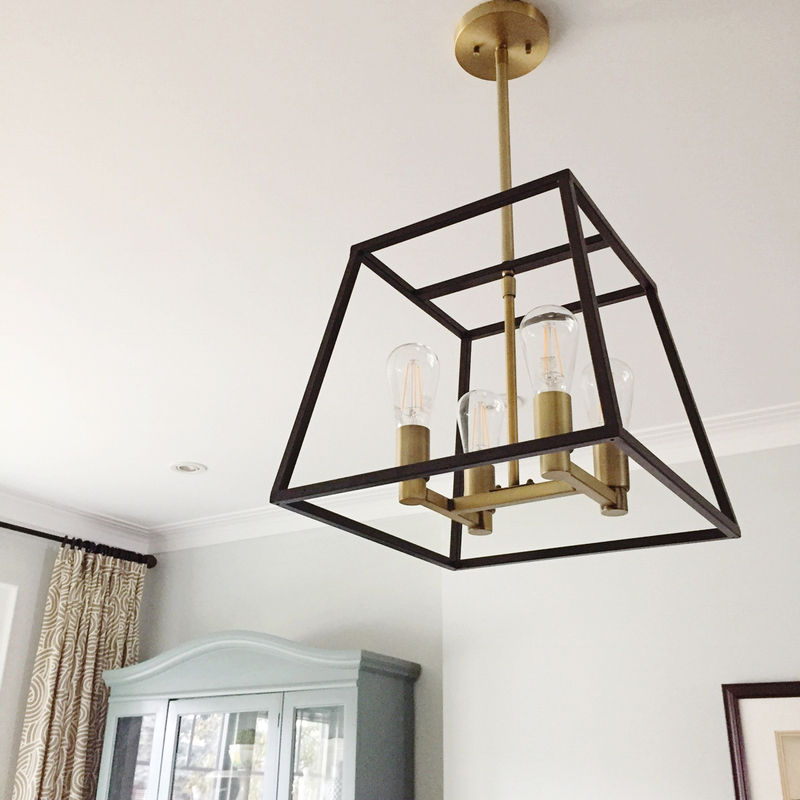 I needed a fixture with a gold finish, to tie in with the more delicate gold chandelier in the adjacent dining room. This one was just right. It has a bit more of an industrial edge but the open style and size is similar. Just a few simple changes but the room feels brighter and more cohesive.